…Welcome to the magical world of Fingley! I was delighted to be asked to narrate the first of a new series of children’s audiobooks, It’s A Doddle To Care, launched last week. As well as narrating the story, the work involved voicing lots of different characters too. I thoroughly enjoyed narrating the book, and particularly as Dodl is a bear with a sparky little personality all of his own! Written by Daisa Morgan, the aim of the project is to raise money for two charities – When You Wish upon a Star, and The Odyssey Cancer Centre . The story centres around two resident bears – Dodl and Orb, who came to The Magical World of Fingley from the constellations Ursa Major and Ursa Minor many moons ago, and have been busy for the past three years (although in Fingley time doesn’t really exist!) collating their paperwork to enable Dodl to write about the many adventures that children and adults have had from their visits to Fingley. ‘Hello, it’s me, Dodl!’ Click to visit the Fingley.com site to purchase your very own Dodl! These are both well deserving registered charities, so please download the book and listen to an amazing inspirational story about Tom and his magical adventure to The Magical World of Fingley. All the proceeds will be divided equally between the two charities. Plus, there are also a range of lovely products available too, like this Special Limited Edition Dodl bear. Others include hard copy and e-book versions of the It’s A Dodl range of books, snap cards, mouse mats, and even a Dodl’s Magical Crystal! The Fingley.com website is extremely interactive and fun – take a peek and a listen! The enchanting theme music for The Magical World of Fingley audio book and website has been composed by Yorkshire born composer Chris Haigh, with audiobook production by David Smith at Loftus Audio. Visit Fingley.com, to find out more about the Fingley folk, and download the book! Click here to find out more about my Audiobook Narration work. Have a book that you’d like produced in audio format? Get in touch to find out more about how we could produce an audiobook like this for you! Continuing the Treebobs’series, The Treebobs Rescue Rotten Rena (written by our lovely author, Declan Harney), is in post-production at the moment, and should be out soon. Rena is a hapless witch, and gets up to all sorts of antics, and will feature one of my favourite Rena lines: ‘No-one is turning me into a hippopotamus!’ One of the great things about this series is that I have been given carte blanche to lift the voices off the page and create all of the characters that you will hear. Watch this space as the audio book becomes available. Should be in time for Christmas. I am already in talks to narrate the next book in the series, this time featuring a giant mole! The power of the voice over written communication, and the benefits of the audio book. If you are an Auditory type. If you are the kind of person who isn’t into reading, but prefers to l isten, then perhaps you are auditory, and would gain more benefit by listening to an audio book. Enhances your car journey. Audio book CD ‘s can enhance you and your family’s journey time whilst driving in the car, either to relieve boredom, or to take your mind off stressful situations such as being stuck on a motorway somewhere! You can also listen with your iPod as you go jogging as part of your New Year’s resolution and kill two birds with one stone! Saves time on personal development activities. Most of us never have enough time to do all the things we want to do. 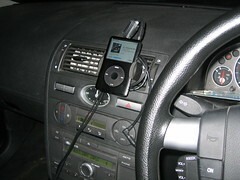 Audio book CDs or .mp3’s are a brilliant time-saving method of listening and learning to personal development audios whilst you’re doing something at home, or whilst driving – providing that you’re not spending too much time fiddling with the knobs on your player and causing a prang in front and behind you! Ability to make characters come to life. Whilst reading your imagination can be great, but if you have a novel or story book audio CD , actually hearing the voices of the different characters and sound effects can make the story come alive even more. Beneficial impact of tone of voice on learning and communication as opposed to reading words. It is generally known that impact of communication is greater from the sound and tone of the spoken voice – 38% , compared to only 7% by the words used. If this has given you a warm, fuzzy feeling and you would like to explore more audio books, then you might find some useful items in my shop . If you’d like to hear more articles like this, and up to date news of my work, then please join my mailing list!